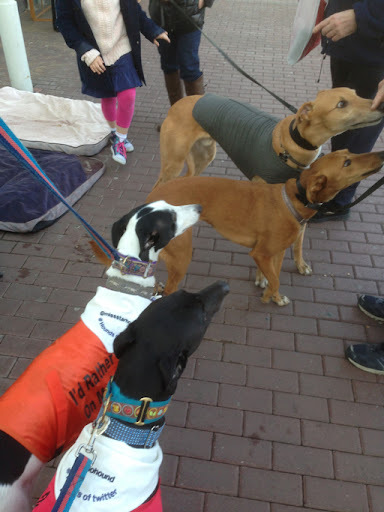 I'm a retired greyhound who now lives in Birmingham since November 2011 I was joined by Star from Monmore RGT Wolverhampton these are our stories. I just realised I talked about today's meet and greet in Sutton but I haven't told you about about another event I did. 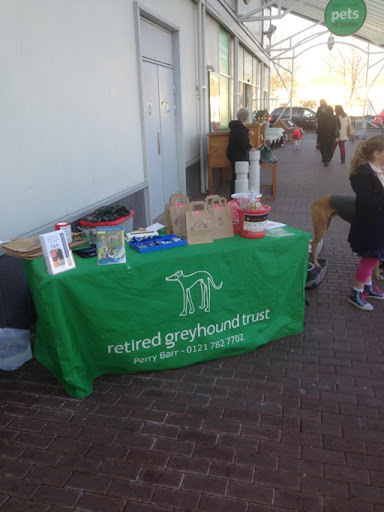 We were outside Pets in home in Perry Barr. The new Marks & Spencer's outlet opened 3 days earlier so we were collecting money also. We had key rings, badges and goody bags. 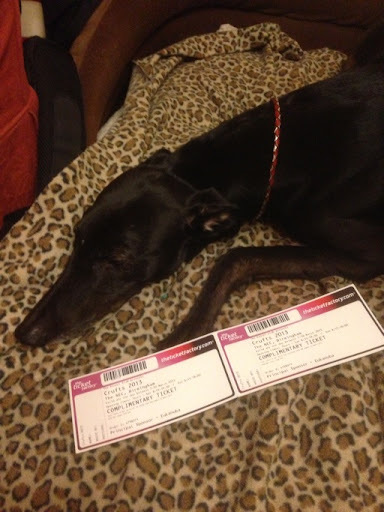 I donated two tickets in the raffle to Crufts that the kennel club had sent me. 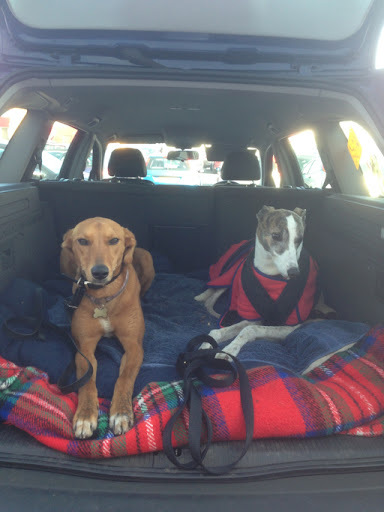 The area was all covered up but Simon one of the organisers had his car close by and some dogs liked the boot. But when the treats came out it was a different matter!